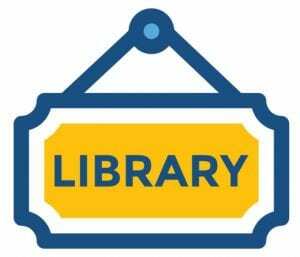 2018 has been a productive year for the Primary School Library with the update and introduction of new programs for Stages 1 – 2 and support to the newly implemented grade inquiry focus for Stage 3 – Years 5 & 6. The review is a snapshot of teaching and learning, special events, resource use and top books loaned by grade. It is interesting to compare the overview to the previous year and reflect on areas of strength and those requiring improvement. Unfortunately, reports referred to for this overview highlighted a major reduction in borrowing for Years 5 and 6. Not only were borrowing statistics significantly reduced, the range and level of books being borrowed by Year 6 were also disappointing in comparison to the younger grades. I believe a key factor that has caused such a change is the reduction of visits to the library and the fact that they became impromptu. The change to a grade inquiry block removed the weekly library lesson and borrowing time which included time to recommend books, browse and read. The result is of great concern and has prompted the need to provide a thorough report to the Executive team. In addition to statistics, I plan to revisit an article I wrote Creating A Community Of Readers and refer to current research by Margaret Merga who has written extensively about reading promotion. It is critical to highlight the concern and suggest ways to encourage more reading and engagement with books. In 2019 Stage 2, Years 3 & 4 will move to grade inquiry blocks which will affect the regularity of library visits. The best way forward is to consider practical ways to ensure students are exposed to books and encouraged to read. The change in support to inquiry units will require a tighter approach to information and digital literacy guidance and instruction to both teachers and students. I would like to acknowledge and thank the support and commitment of Michelle the Primary School Library Assistant. Michelle has worked meticulously in managing circulation, processing resources, library upkeep and assisted in book selection and library displays. Michelle and I have both taken time to deepen our familiarisation with our cataloguing system Oliver by Softlink and we are about to embark on a Stocktake – thanks to Michelle’s recent training! In 2019, I look forward to presenting at the 2019 Oliver v5 User Conference on information literacy for Stage 1 and running a Webinar for the Australian School Library Association (ASLA) in regard to visual grammar / visual literacy using picture books. Oh, I also have two subjects to go with my Master of Education – Teacher Librarianship at Charles Sturt University. One final note, the overview was created using InDesign. Recently I attended a professional learning course for InDesign provided by Design Workshop Sydney. I was determined to create the summary using InDesign as my first project and it was the perfect opportunity to try out the program and execute my learning. Recently I was asked to provide Year 6 classes with historical research skills focused on inquiry to investigate primary and secondary sources. The students were at an early stage of a historical inquiry unit involving investigation of stories of groups of people who migrated to Australia and the reasons they migrated. In addition, students will be inquiring into their personal history that has shaped who they are, their community and identity. By coincidence, I am currently completing the subject – Describing and Analysing Education Resources which involved investigation of Trove as an example of a federated search system managed by the National Library of Australia. Knowledge of Trove’s access to extensive online resources enable me to demonstrate to students a way to search and access digitised primary sources such as photos, journal entries, and newspaper articles from the past. As Trove is comprehensive it was important to provide students with suggestions of what to search, how to search and how to review the search results. 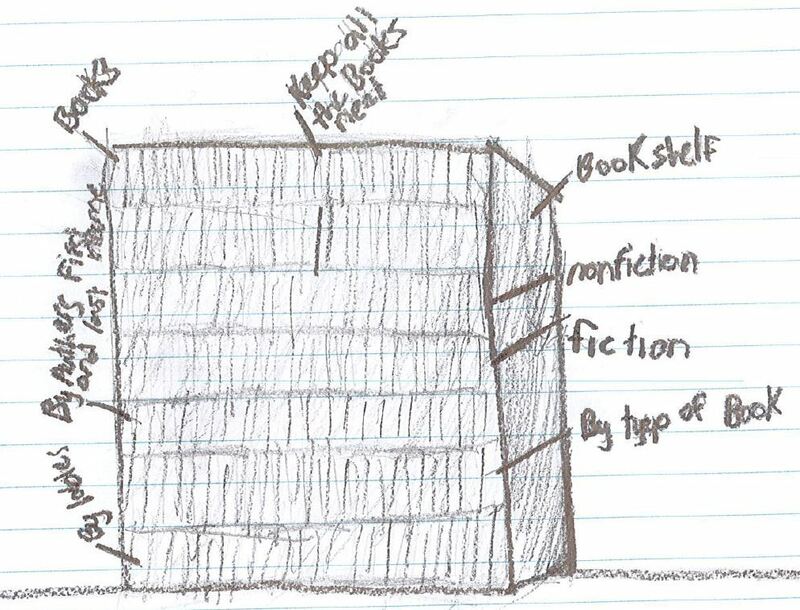 Start with a nonfiction book at the student’s level. Highlight images and image captions as a source of information and keywords that would be useful to use in a search. 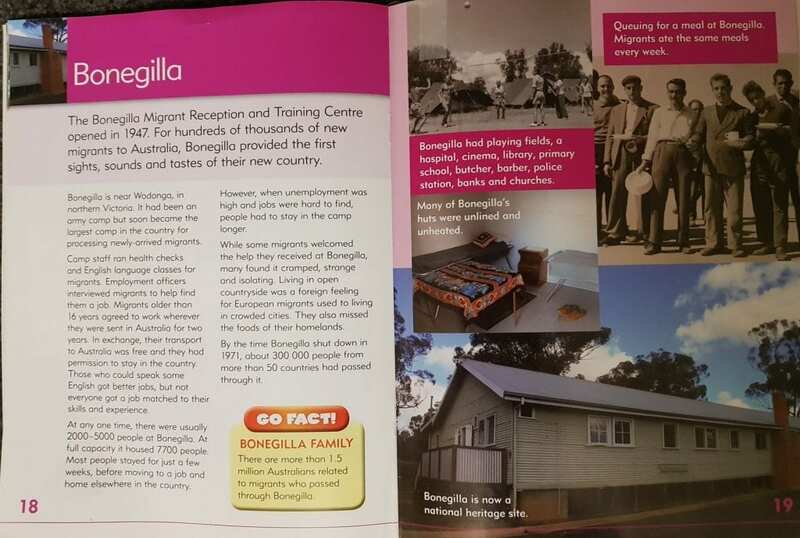 For the migration example, I used Bonegilla Migrant as the keywords and then demonstrated a search. We were able to view various images, including the photo of a group of men playing volleyball on Trove which was the same photo in the text. We also accessed a Certificate of identity, for Irena Terkiewicz, relating to her immigration to Australia, 1949 after viewing this in the Migration text. From the book Coming to Australia: post-war immigration by Australian Geographic, 2015, we located important keywords such as displaced persons, refugee camps and the name of the Minister of Immigration in 1945, Arthur Calwell which lead us to newspaper articles from that time frame. Trove has created a video explaining how to search, taking a few minutes to view this and then some time to explore is highly recommended. Understanding the different zones assists with viewing the results. Two important things to refine a search include selecting a time period or decade and clicking the Available online option. Although we are at an early stage of investigation, Trove provided a platform to guide students to sources of information for their research rather than just using Google. Searching for family names was very stimulating for students, one student searched for the name of an invention by a great-grandparent and came across a newspaper article from 1913. Trove provides a wealth of opportunities for teaching and learning purposes. Being able to access articles, photographs, and letters from the past is extremely valuable for historical research and inquiry learning. For the library sessions, I focused on places in Australia and how people connect to places. I see the Year 2 classes once a week for a half hour lesson. I generally plan a series of lessons that allow students to progressively build on knowledge, skills and understanding. For this series of lessons, two picture books provided stimulation for the learning activities. In summary, the two books were explored, students were guided through searching for places using Google Earth, labelling maps and reflecting on how the characters in the books connect with their environment. As a final reflection, the children wrote about a special place where they live. Hello from Nowhere by Raewyn Caisley. Our Island by Alison Lester, Elizabeth Honey and the children of Gununa. How does our library organise books? 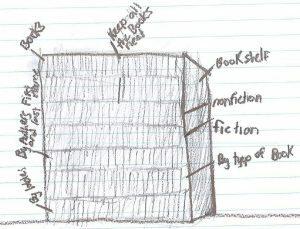 How does our library organise books? This was the question I asked Year 4 in order to find out what they knew. The question was opened and students were told they could write, draw and label as much detail as possible, they were required to stay seated, looking around was allowed – they had 5 minutes. The timer was set and students were very serious about the challenge set. Observing student response and enthusiasm in action it was quick to see key ideas and understanding. 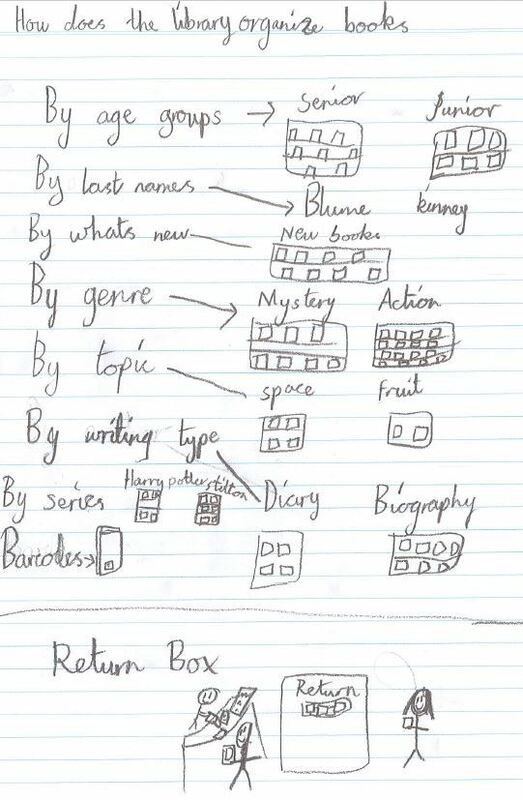 Once time was up each student shared one idea (names called out in random), if an idea had already been shared the student was prompted to build on an idea, for example, one response was A-Z this was added to explain author’s surname which was further added as fiction. A question prompt would be what does nonfiction mean, how do we know it is nonfiction and so on. Ideas were recorded on the IWB for further reference and as a class summary. It was a great way to gain an understanding of what students already knew and allowed for learning from others. The lesson was an introduction to a series of lessons on using the library focusing on nonfiction. The day the Internet went down – what we learnt! All was going well on Friday morning as Year 5 had just started their task evaluating a webpage using the 5W’s evaluation guide. However, we quickly realised that the Internet was very slow – then it was down. It happens from time to time for a few minutes so we decided to move onto reading – perfect we were in the library! Then the announcement came ‘the Internet will be down for the next 5-6 hours’ well that was it for the rest of the school day! Year 5 had just settled with browsing and reading when a group of Year 3 students burst through the library doors full of excitement. They needed books for their animal migration research – they excitedly repeated ‘the Internet is down.’ The library assistant and I jumped into action and we were guiding the students to books about the range of animals of interest when another Year 3 class appeared also needing similar books. It was not long before the 500’s were pulled apart and we felt the limitations of relevant information for a large number of students at once. As recess approached we felt relieved that the students would move on and we could get back to normal. The experience although somewhat annoying was highly valuable, it became evident that this was a huge learning experience and caused instant reflection on the difficulties encountered. Although it was fantastic that the students were keen to get their hands on books, the limited skills they showed in locating books for their needs caused concern. 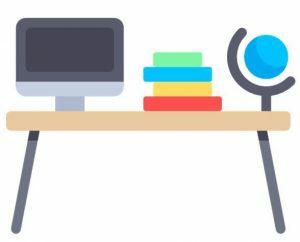 Learning from this situation is vital, some ideas follow on how we will approach the new year to increase the use of the library, upskill the students book locating skills, and allow for successful spontaneous library use. Such ideas are obvious and easy to fix, however as we rely more and more on the Internet we are limiting students exposure to the pleasure of finding just the right book for research needs and another book of interest by chance. The library shelves may be scoured and knocked about and in need of mending but at least the books are being used. Grade 6 recently participated in the Primary Research Project.The Project consists of 40 multiple choice questions covering a range of topics in the Australian Curriculum English, Maths, History and Geography. Students are encouraged to use a range of resources including dictionaries, atlases, reading graphs and articles within the Project and a wide range of online searches are required. Many questions have multiple steps to prove the correct answer. The Project runs for two weeks and students have a maximum of four hours to complete. The cost was $6 p/student, students are registered and all answers are submitted online. Students receive a graded certificate on completion of the Primary Research Project.